My carpets look like new again! He worked methodically and meticulously throughout and there was no disruption whatsoever thanks to the truckmount. I was therefore not required to provide endless hot water or waste disposal facilities as I’ve done in the past with traditional cleaning equipment. 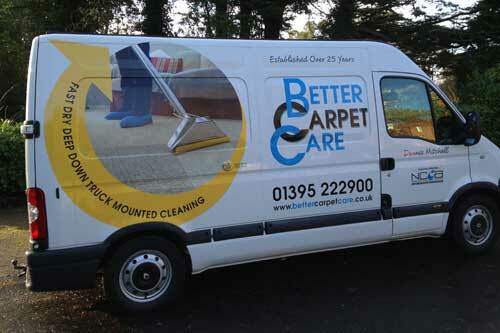 “Thank you for coming along and cleaning the carpets before we moved in. I am very very pleased that I used your services as the carpets look and feel great. I am also very happy that I also asked you to clean our multicoloured rug – it hasn’t looked as good as it does now since we bought it 12 years ago!